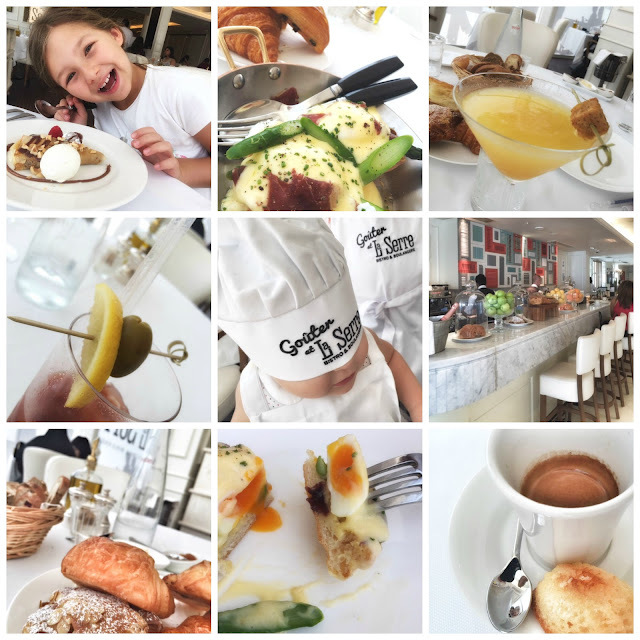 Dubai our Sandbox: Chic family breakfast at Bistro La Serre - we love! Chic family breakfast at Bistro La Serre - we love! I love to start the day with a family breakfast on the weekend. It can be an early one by the beach in the most casual way or a late morning treat in one of Dubai many good family eatery. And sometime you need Bistro La Serre ! We love the French bistro for it's elegance and simplicity, it's modern classics french favourites and the intimate but buzzing atmosphere. Back by popular demand, the Bistro breakfast launches for its second season, offering a lovely selection of breakfast favourites, from waffles with maple syrup to scrambled eggs with lashings of smoked salmon, poached eggs with summer truffles or Bistro’s famous Eggs Benedict accompanied by baskets of freshly baked viennoisserie. What not to love!? It offers the perfect balance of chic setting _ upstairs from the Boulangerie _ in a friendly atmosphere, with a Parisian band playing happy and jazzy French tunes (Saturdays only). It's a great weekend spot to indulge in delicious food and a glass of champagne or some morning cocktails. 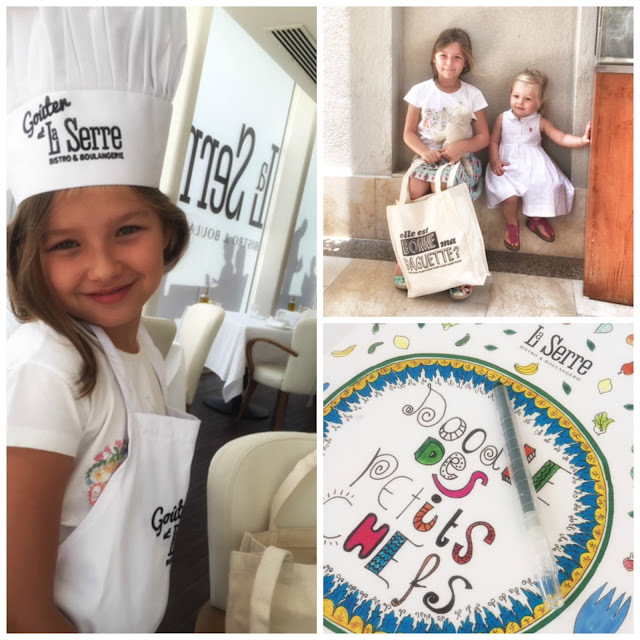 La Serre in its very French way and non Dubai way, offers no kids corner, face painting, jumping castle... Just like a Parisian bistro, children will sit at the table enjoying the most delicious 'Crepes au chocolat' and being part of the family conversation. And when it's gets all too long for the little ones to stay in place, the lovely set of colouring book and pencils come out for entertainment... And that's how we had a lovely family yet luxurious breakfast at La Serre Bistro! 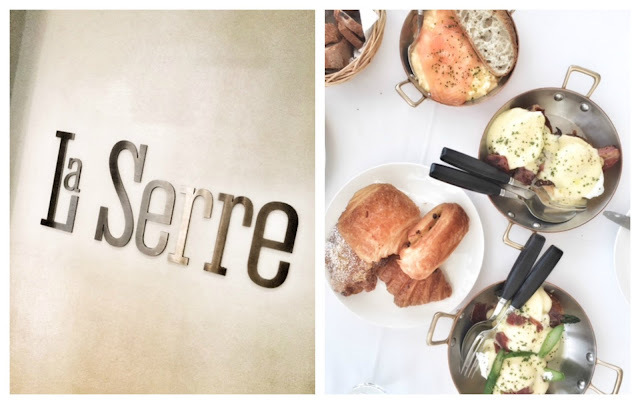 The Bistro Breakfast will be available from the 6th May until the 30th September 2016 on both Fridays and Saturdays, 10am to 1pm in the elegant, air-conditioned Bistro of La Serre.